Metropolitan L. top team - Olimpia (8-0) had no problems winning another game on Monday. This time they crushed ninth ranked Dep.Internac. (0-7) 131-31. Undefeated Olimpia have an impressive series of eight victories in a row. Defending champion maintains first place with 8-0 record. Dep.Internac. at the other side still closes the standings with seven games lost. Olimpia's supporters look forward to an exciting derby game next round, where their team will face at home their local rival from Asuncion San Jose. The game in supposed to be also worth to mention about. Fourth ranked Sol de America (4-1) played at the court of 8th ranked Ciudad Nueva (1-7). Sol de America smashed Ciudad Nueva 106-52. Sol de America maintains fourth place with 4-1 record. Ciudad Nueva lost their sixth game in a row. They keep the eighth position with seven games lost. Sol de America will play against Luqueno (#5) at home in the next round. Ciudad Nueva will have a break next round. The game in supposed to be also quite interesting. Third ranked Libertad (5-2) played at the court of 7th ranked Campo Alto (2-5). 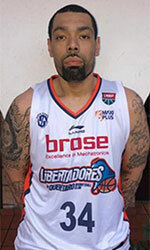 Libertad smashed Campo Alto 87-64 on Monday. The victory was the fourth consecutive win for Libertad. They maintain third place with 5-2 record having just five point less than leader Olimpia. Campo Alto lost their third game in a row. They dropped to the sixth position with five games lost. They share it with Felix Perez. Libertad will meet at home bottom-ranked Dep.Internac. (#9) in the next round which should be theoretically another easy game. Campo Alto will play against Felix Perez in Asuncion and it may be a tough game between close rivals. In the last game of round 7 Felix Perez was beaten by Luqueno on the road 62-56. Everything could happen at the game between two tied teams. Both fifth ranked Luqueno and 6th ranked Felix Perez had identical 2-4 record. This time Luqueno used a home court advantage and beat the opponent from Asuncion 62-56 on Monday night. Luqueno maintains fifth place with 3-4 record. Loser Felix Perez keeps the sixth position with five games lost. They share it with Campo Alto. Luqueno will meet higher ranked Sol de America (#4) in the next round and it will be quite challenging to get another victory. Felix Perez will play against Campo Alto and it may be a tough game between close rivals. 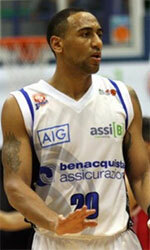 Metropolitan L. top team - Olimpia (8-0) had no problems winning another game on Monday. This time they crushed ninth ranked Dep.Internac. (0-7) 131-31. Olimpia have an impressive series of eight victories in a row. Defending champion maintains first place with 8-0 record. Dep.Internac. at the other side still closes the standings with seven games lost. Olimpia's supporters look forward to an exciting derby game next round, where their team will face at home their local rival from Asuncion San Jose.